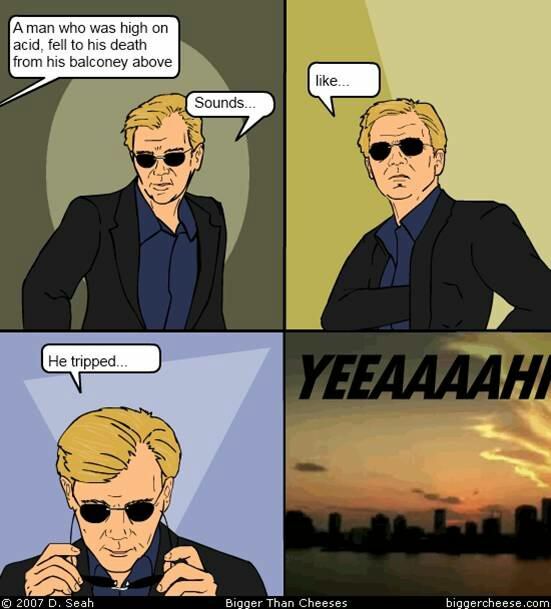 I got emailed these one liner jokes about Horatio Cane from CSI Miami. I thought I would upload them because they hit the nail on the head with regard to this guys style, tone and charasmatic enthuisiasm to solve crimes. The acid one kills me! Horatio definitely would not think he was so mucho on acid, believe me!